This page contains a guide on the Hero of Twilight Armor Set in The Legend of Zelda: Breath of the Wild, including stats, effects and where to obtain. The Hero of Twilight Armor set is composed of the Cap of Twilight, Tunic of Twilight and Trousers of Twilight. 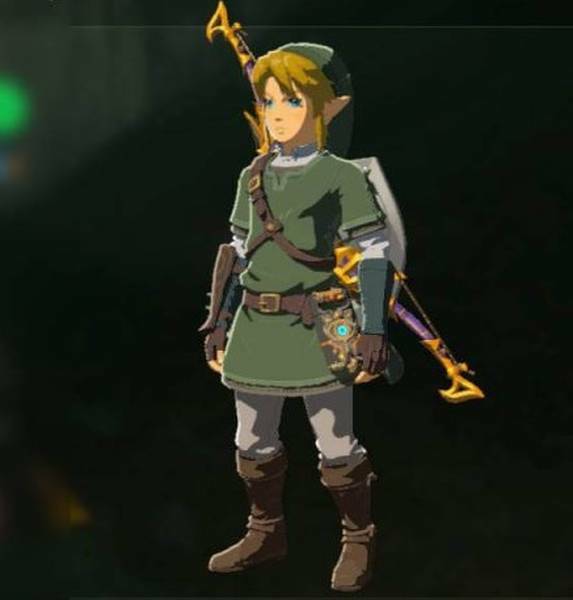 The armor set provides the bonus Master Sword Beam Up, much like the Ocarina of Time, Hero, Wind Waker, Skyward Sword and Breath of the Wild Armor Sets. This armor set is a reference to The Legend of Zelda: Twilight Princess. The Hero of Twilight Armor can be obtained by buying the corresponding amiibo. Each piece of the Hero of Twilight Armor Set follows the upgrade path below. This article is missing which amiibo is needed to unlock the armor.